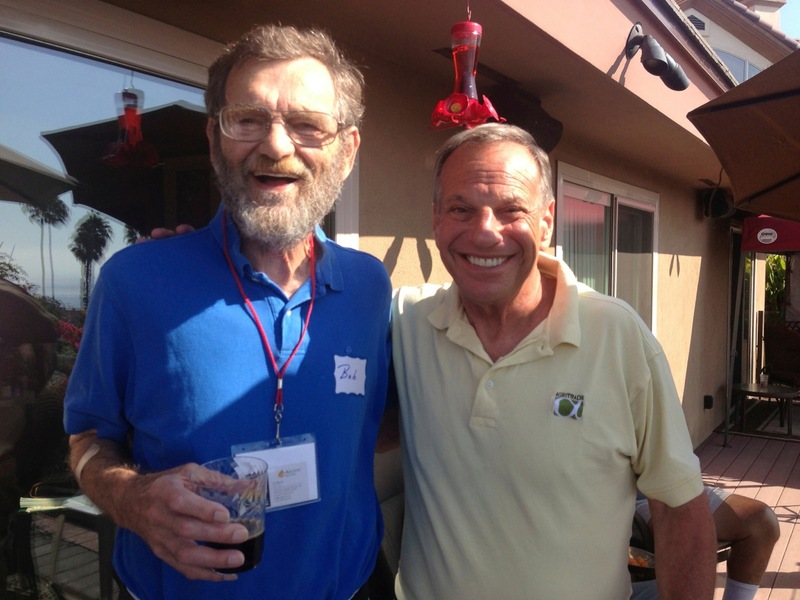 Just seventy-two hours after announcing his resignation as Mayor of San Diego, Bob Filner attended the club’s Annual Summer BBQ. The circumstances were quite different from last year when he attended midway between his hard fought primary and general election campaigns. 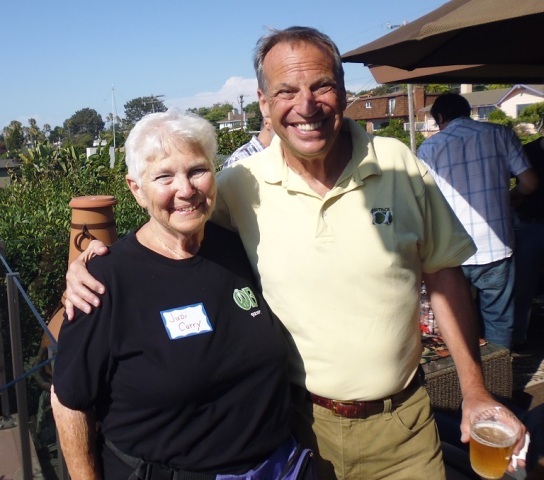 Club members Judi Curry and the folks who run the San Diegans for a Progressive Future had slightly different takes on his visit. Channel 10 managed to try to disparage the Mayor for posing with Judi and a beer in his hand. Judi put the record straight in an interview and on the OB Rag. After the hamburgers, and before the deserts, President Susan Peinado called the official meeting to order at approximately 5:00 PM. State Senator Marty Block addressed the club and provided an overview of his legislation, including AB 1731 which requires hospitals to check newborns for heart defects prior to discharge. He also spoke about his successful efforts to secure $30 million in new resources for disabled community college students. Senator Block’s office is available to assist constituents and attendees were encouraged to reach his office via http://www.martyblock.com. For those seeking information and guidance on implementation of the Affordable Care Act, Senator Block referred to Covered California. Mr. Chris Ward introduced himself as a potential candidate for City Council District 3. 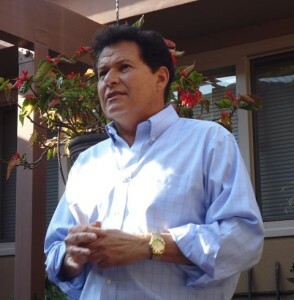 The timing of his candidacy depends on whether City Council President Todd Gloria runs for Mayor in the immediate future. Anne Marie Kaukonen moved and Jane Gawronski seconded a motion to approve the appointment of these officers. The motion passed unanimously. Hannah told us about the Democratic Convention to be held at the Pala Indian Reservation October 4-5th. The deadline to make reservations is extended to Thursday, September 12th, and she said it would be an exciting event. Othree Hendrix and Brandon McDonald from the “Western Service Workers Association” thanked everyone for bringing back to school items and supporting their organization. The San Diego chapter of the League of Women Voters is hosting a community discussion on mental health on September 12th at 10:30am at the Point Loma Library. Next month’s meeting on September 22nd will focus on the Affordable Care Act. Thanks to everyone for attending and bringing such great food and drinks. The party was very pleasant and afforded a chance to meet and talk to elected officials and candidates as well as members new and old.